Let's celebrate Thursday! It's my Friday this week. I'm off tomorrow. I have #AskaLibrarian on Twitter at 11 AM. And, I'm going to talk books with all of you. I can't wait to see what you're reading. What are you reading this week? I hope you're enjoying your book. I'm reading the second is V.M. Burns' Mystery Bookshop series, Read Herring Hunt. The third book is out, and I realized I never even posted my review of the first book. 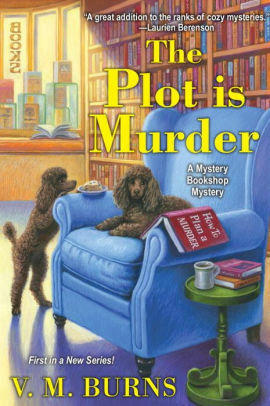 I was impressed with The Plot is Murder. Mystery readers, like me, who want to read a series from the beginning might want to know about the book that kicked off the series. Samantha Washington's late husband always dreamt of opening a mystery bookstore in North Harbor, Michigan. It was her dream to write a British cozy mystery. Now, she's running a mystery bookstore, while writing her mystery at night. Market Street Mysteries is to open in the brownstone she bought after a legal battle with the realtor, Clayton Parker. Her problems with Clayton only grow worse when she refuses to let him in the building, and finds his body the next morning. The investigating officer is convinced Samantha had reasons to kill Parker. However, Sam's grandmother, Nana Jo, has other ideas. She and her friends, "the girls" from the her retirement village, team up with Samantha to discover the unsavory history of Clayton and the Parker family. 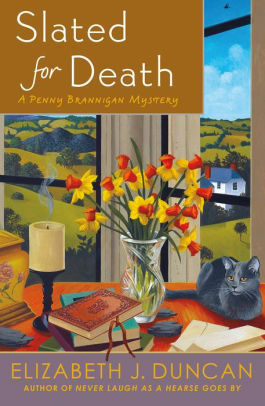 Burns cleverly handles two storylines as she tells the story of the contemporary cozy mystery, while also including Sam's historical mystery, set in the 1930s. The historical cozy has a parallel storyline. The chapters alternate, but the two plots are dissimilar enough to be easily recognizable. In both storylines, the elder characters shine. Unlike stereotypes of older people, as written in so many books of all genres, these characters are refreshingly witty and robust, with formidable connections and investigative skills. The lively seniors, the humor, and the bookstore environment, as well as Sam's cozy historical mystery are enough to attract any mystery reader who enjoys bookstores as a setting. If The Plot is Murder appeals, you'll want to check out the second book, Read Herring Hunt. I'm looking forward to Sam's second manuscript, a story that includes the Duchess of Windsor. The Plot is Murder by V.M. Burns. Kensington, 2017. ISBN 9781496711816 (paperback), 256p. FTC Full Disclosure - I originally received this book to review for a journal. The third Sheriff Hank Worth mystery has one of the most heartbreaking openings I've ever read. 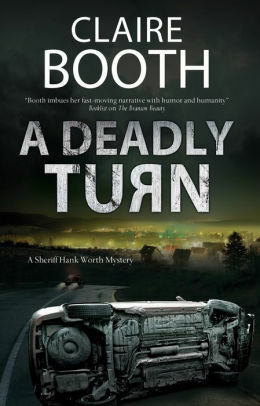 Once I read the first chapter of A Deadly Turn by Claire Booth, I was hooked. I love police procedurals. When the police are as invested in the case as Hank is in this one, it becomes a compelling page turner. Once in a while, Sheriff Worth takes a night shift. On a Saturday night, he stops a speeding car going almost twenty miles over the speed limit. There are six teenagers in it. A couple in the back seat are not using seat belts. The driver's name isn't on the registration. Worth runs a couple of the licenses, makes a couple teens switch seats, watches them buckle up, and sends them on their way after threatening to tell their parents. Kids will be kids, and he assumes the warning will be enough. Twenty minutes later he receives the call, and arrives at the wreck to find all six teens dead. Of course, Worth blames himself. He calls in Missouri's Major Crash investigators, and immediately butts heads with one of troopers. Hank wants in on the case, and, once Sergeant Jenkins finds out about his involvement, he doesn't want to include him. Worth's chief deputy, Sheila Turley, is a little more diplomatic than both bullheaded men, as is the other trooper. Hank insists on notifying the families, although it's a soul destroying job. But, when he finds a murder victim at the address of one of the teens, he knows he can work with Branson's police chief to push himself into the case. There's layer upon layer in the investigation into the deaths of the teens and the unknown murder victim. How does a drug dealer, a theater and a country star play into the case? Worth's department works with the two other departments, state and city, to look for answers. Fans of police procedurals will appreciate the step-by-step unraveling of the story. Mystery fans, whether they've read other books in the series or not, should appreciate the personalities of Worth and his officers. In this third book, Deputy Turley must pull together the men in the department, Hank and another deputy, Sam, as they both allow their feelings to affect their job performance. Read that opening chapter of A Deadly Turn. Once you witness Sheriff Hank Worth's reaction to the crash, it will be hard to turn away from the story. A Deadly Turn by Claire Booth. Severn House, 2019. ISBN 9780727888457 (hardcover), 276p. 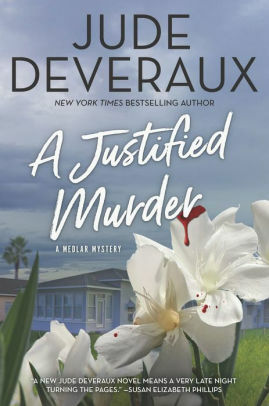 If you enjoyed the characters and their playful relationship in Jude Deveraux's first Medlar mystery, A Willing Murder, then you may want to pick up A Justified Murder. The "Medlar trio" is in fine form in this second book. It's the cleaning woman who calls Sheriff Daryl Flynn to Janet Beeson's house. He expects to find the elderly woman died of natural causes. He doesn't expect to find a corpse that was shot, poisoned and stabbed. He immediately calls Sara Medlar to photograph the crime scene. He suspects that the Broward County Sheriff's Dept. will take over the case, and he wants the Medlar trio to have access to the house before he loses control. Sara, her niece, Kate, and "the grandson she should have had", Jack Wyatt, have a short time to examine the scene before they sneak out the back way when the Broward County officers arrive. The trio solemnly vow they won't investigate this time. They'll just turn over Sara's photos and bow out. However, residents of Lachlan have other ideas. Sara's doorbell rings throughout the night as people show up to explain why they could have killed Janet Beeson, even if she did show kindness after they hurt her. It all sounds a little fishy to the trio. Then Sheriff Flynn rings the doorbell to find out what they learned. A Justified Murder seems to be a straightforward murder case until a reporter comes to town with a wild story of the cold case kidnapping of an infant years earlier. He suspects the kidnapper had Lachlan connections. A retired police chief soon follows, a man who never let go of the kidnapping case. Now, there's a woman murdered three times, who seems to either be a hated woman or a saint, along with a cold case kidnapping and a connection to the town. And, who is the skinny old man who seems to be watching the Medlar trio? A Justified Murder is a convoluted story with a large cast and an unusual ending. Those who are looking for a straightforward mystery might be disappointed. Those who enjoy the Medlar trio and their snappy conversations, might be satisfied with this second book. I'm willing to give the third one a chance in a year. A Justified Murder by Jude Deveraux. MIRA, 2019. ISBN 9780778308294 (hardcover), 336p. I wish you had all read Patricia Marcantonio's historical mystery, Felicity Carrol and the Perilous Pursuit. I want to talk about it with someone who finished it! Although it's set in Victorian England, at the time of Queen Victoria's Golden Jubilee, Felicity reminds me of a grown-up Flavia de Luce from Alan Bradley's books. And, the solution! Darn, I want to talk about that with someone who has seen the same Broadway show as I did, but I can't even tell you what it is without giving away the plot. Felicity Carrol has everything she could want, except the love of her father. Her mother and brother died when she was young, and the nineteen-year-old took herself to university when she was fifteen, lying about her age. She yearns for her father's attention. He just wants her to get married and be a proper woman. She's the young woman, though, whose science experiment goes wrong, setting fire to the east wing of Carrol Manor, where her father's treasured art work is kept. To stop the fire, she sets off a bomb. When Felicity reads that Earl William Kent was murdered, she mourns as she never has for family. Lord Kent was one of her professors at university, and the two shared a love of history. Now, he's been found dead in the British Museum, and his priceless original of Sir Thomas Malory's Le Morte d'Arthur manuscript is missing from the King Arthur exhibit. After extending her condolences, Felicity decides she can best find justice for her mentor and the man who was a surrogate father by finding his killer. While most women in Victorian England don't set out to solve a murder, Felicity, an avid student of everything, studies copies of The Illustrated Police News and Law Courts and Weekly Record in order to prepare herself. She doesn't prepare herself for butting heads with the handsome Scotland Yard Inspector Jackson Davies, who is tasked with finding Kent's killer. Then, there's a second murder, and a third. All of the victims were killed before their valuable King Arthur collectible was stolen. Felicity has theories, but Davies won't always listen. There are well-developed characters that I'm looking forward to meeting again in the next Felicity Carrol mystery. She herself is a fascinating young woman, a perfect adventuress for the times that brought us so many other interesting characters such as Amelia Peabody and Veronica Speedwell. Helen, her former nanny, now her personal maid, is her friend and the mother she never had. Inspector Jackson Davies is respectful of Felicity's knowledge, but he has a lot to learn. There's humor and suspense in this excellent mystery. Fan of Flavia de Luce? Here's a grown-up Flavia. 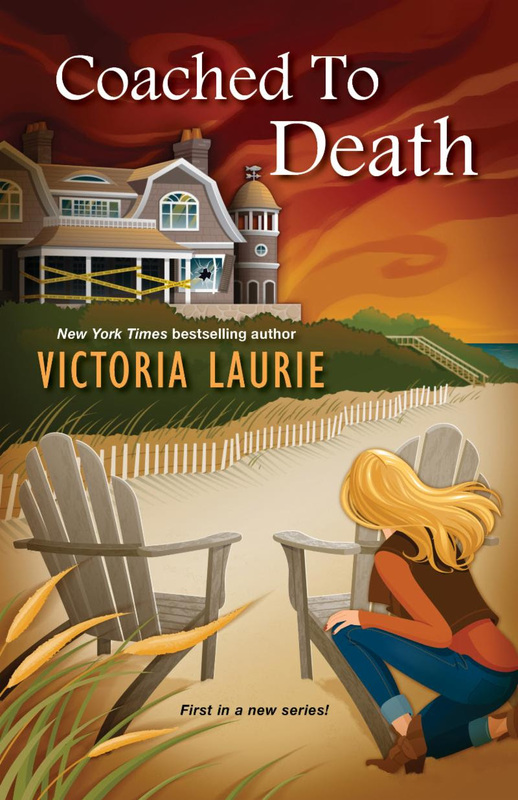 Fan of Paige Shelton's mysteries set in Scotland? This one might remind you of those books. It has so many elements of some of my favorite books. Kudos to Felicity Carrol and the Perilous Pursuit. Felicity Carrol and the Perilous Pursuit by Patricia Marcantonio. Crooked Lane Books, 2019. ISBN 9781683318965 (hardcover), 310p. Congratulations to the winners of the last contest. Carl S. from Lukeville, AZ won Below the Tree Line. 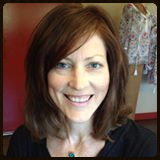 Fiona W. of Auburn, WA will receive The Secluded Village Murders. The books will go out today. This week, I'm giving away mysteries set in Great Britain. 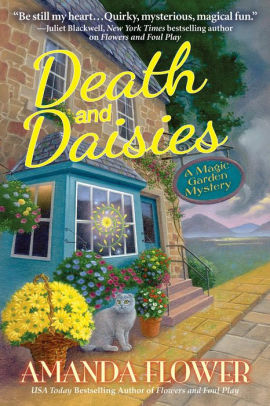 Amanda Flower takes us to Scotland with Death and Daisies. American Fiona Knox inherited her godfather's cottage in Scotland, with its magical walled garden. Now, she's about to open the Climbing Rose Flower Shop in Aberdeenshire. But, the parish minister refuses to let her enter the local church. He's opposed to her family and its connection to the walled garden. But, the opening of the shop goes well until the volunteer police chief announces he just found a murdered body on the beach. If you prefer Wales, you can travel there with Slated for Death by Elizabeth J. Duncan. When Glenda Roberts' body is found at the bottom of a former slate mine, pandemonium erupts in Llanelen. Penny Brannigan finds herself drawn into the investigation when jars of her house brand hand cream are found among the counterfeit inventory Glenda and her sister were selling. While the police believe the mine operator is to blame, Penny thinks a hidden family secret in Glenda's family may be the real reason for the murder. Which mystery would you like to win? You can enter to win both, but I need separate entries. Email me at Lesa.Holstine@gmail.com. You subject line should read either "Win Death and Daisies" or "Win Slated for Death." Please include your name and mailing address. The giveaway will end Thursday, Feb. 28 at 5 PM CT. Entries from the U.S. only, please. It's Thursday! I always look forward to see what you're all reading. I'm reading a new-to-me book and the start of a series. 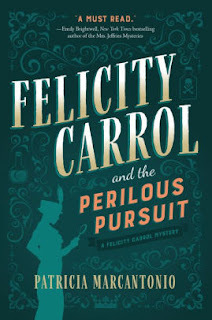 Felicity Carrol and the Perilous Pursuit is a mystery by Patricia Marcantonio. It's set in Victorian England. I'm not far into it, but Felicity reminds me of a grownup Flavia de Luce, for those of you who read Alan Bradley's series. When the book opens, the twenty-year-old Felicity has just set fire to the east wing of her father's house with a chemistry experiment that goes wrong. But, she finds a way to stop the fire from spreading. She makes a bomb, and sets it off. Felicity yearns for her father's affection. Her mother and brother died years ago. Now, she's of marrying age. But, she sets her troubles aside when she learns her mentor was murdered at the British Museum. What are you reading this week? Have you had time to read? Passed on from Sandie Herron, the latest newsletter from Victoria Laurie, featuring her new series. Enjoy! ANYway, I had promised you a newsletter to let you know when to expect the good stuff, so here is your good-stuff newsletter! First, as many of you might’ve heard, the Hallmark Channel had optioned my Psychic Eye series for their Movies and Mysteries Channel, and it really, reeeeeeally looked as if that was going to be a go—I mean, she was assigned the best showrunner (executive producer) and a gloriously talented director, but after a year of coming at Abby’s psychic abilities from several different angles, the network brass decided that they just couldn’t put up a show with a professional psychic without risking upsetting a large portion of their demographic. Hugely disappointing for everyone who’d worked so hard to find a compromise, but also—swear to God—a huge relief for me personally. The truth is that Abby’s abilities were so contorted and watered down by the end of all that back and forth that I was very, very nervous we were so far away from her actual personality and talent as to render her largely unrecognizable, and it likely would’ve become a miserable experience for anyone who loves my girl. So in the end, the best decision possible was made for absolutely everyone involved. My goal is never to push Abby onto an audience who would become upset by her depiction, or angry over the notion that a professional psychic isn’t some crazy loon but rather a person with actual talents that are in no way an affront to God…their version or mine. LOL So, I really respect the network’s decision. I was honestly thrilled and honored simply to have my work considered by them in the first place. Like, not many authors even get to say that! Next, you’re probably looking at that GORGEOUS cover at the top of this newsletter and wondering, “Is the next Abby out??? And did she go blond??? ?” And to that I say, “Oh, soooo sorry, but no.” That cover actually belongs to the first book in my spinoff series, The Life Coach Mysteries, featuring Cat and Gilley—and, you guys, these two make the most AWESOME pair! Cat, now divorced, has moved to the Hamptons, and Gilley has taken up residence in her guesthouse. Cat has sold her marketing firm for mega bucks, and she’s now embarking on a more “purpose-filled” journey as a life coach. (Ha! Cat as a life coach goes about as well as you’re expecting!) Cat and Gilley’s hijinks-filled adventure begins with Coached to Death, which will be available in hardcover and eBook format this coming fall—October 29 to be exact—and it’ll be available in mass-market paperback the following September (2020). I’m already halfway through the second book in the series, which has one of the best twists I’ve ever devised in any book I’ve ever written, so, if you read the first book and like it, you’ll definitely lurve the second—To Coach a Killer—which will be available in fall 2020. And yes, I DID just mention more projects! So, at this point, I think it might be best to simply list them in order so you know what to expect: In the next few months, I’ll be finishing the second book in the Cat/Gilley series (To Coach a Killer), Abby XVI (Fated for Felony), the first book in another new series called Spellbound (that’ll be up via eBook download by June; I’m already three-quarters of the way through it), and two sequels to When (titled Why and Where…I know…obvious titles for a sequel to a book called When, right?). I’ve submitted the proposal for the sequels to When to my publisher, but I have no idea if they’ll be willing to publish the books this long after the first book in the trilogy came out. We’ll see what they say, but if they turn down the option, then I’ll simply self-publish the sequels, and those would likely be finished next fall. Also, Abby XVII and XVIII (as yet untitled) should be finished and available later this year and/or early 2020. In other words, there is lots coming your way, my Lovelies, and I’ll be sending out newsletters to announce all the releases as they happen. For now, I just really want to thank each and every one of you for your patience while I get all of this new material into the pipeline. I’m so excited about all of the twisty, suspenseful, edge-of-your-seat plotting I’ve got laid out, and I think this is going to be the most creative and productive year of my writing career. Thank you for being an audience that has always appreciated and enthusiastically supported me and my girls. You guys are the best! Once in a while, I come across a children's picture book that needs to be shared. 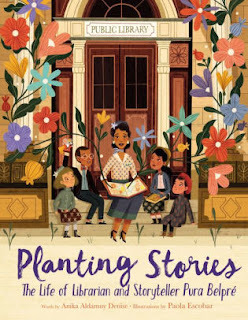 This time, my friend, Donna, shared a copy of Planting Stories: The Life of Librarian and Storyteller Pura Belpré. Author Anika Aldamuy Denise's flowing language goes hand-in-hand with the beautiful illustrations by Paola Escobar. This is the gorgeous story of Pura Belpré, the first Puerto Rican librarian in New York City, a storyteller, and the woman for whom the Pura Belpré Award was named, an award given to Latinx authors and illustrators. It's a story that made me cry. In 1921, Pura Belpré came to New York City to attend her sister's wedding. She brought her own ideas of "story seeds", stories to plant. Pura stayed in New York after the wedding, first working in a garment factory. But, then, she saw an ad for a library assistant. The public library hired her because she spoke English, Spanish, and French, and they needed a bilingual assistant. Pura's role at the library grew when she discovered there were no books in Spanish. She told stories she brought from Puerto Rico, eventually made puppets for those stories, and, finally wrote a book to fit the needs of the children and the library. Pura Belpré's story is a love story. It's about her love for stories, her language, children, the man she married. It's about her travels as an ambassador for stories. It's about her return to the New York Public Library, where others had taken up her role. But, she remained an ambassador, and the recipient of a Lifetime Achievement Award from the American Library Association. Why did I cry? The author and illustrator together created a book that imparts the message of stories and love, the importance of what Pura Belpré did. 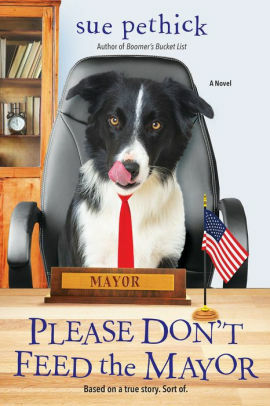 I'll admit, many readers may not appreciate the message or this book as much as I did. If the message of a librarian's role doesn't touch your heart, perhaps Paola Escobar's illustrations will. Planting Stories is a book for my heart. Planting Stories: The Life of Librarian and Storyteller Pura Belpré by Anika Aldamuy Denise. Illustrations by Paola Escobar. Harper. 2019. ISBN 9780062748683 (hardcover).